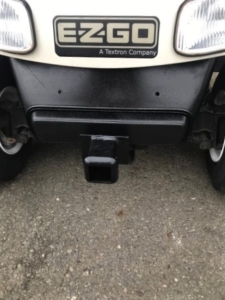 A golf cart is only as good as the service technicians that do the work. That’s why we have some of the best technicians in the business. Caddyshack Golf Carts of Georgia is a full service golf cart distributor and provides service and repairs for commercial and residential clients in Cherokee, Dawson, Gwinnett, Hall, Forsyth, Fulton and the surrounding areas. 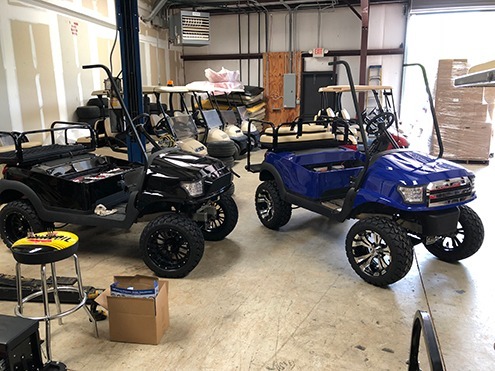 Our technicians are trained in the proper techniques to work on all makes and models of golf carts including Yamaha, E-Z-Go, Club Car and more. Our technicians can provide service and repairs for both gas and electric carts. Whether your cart needs a standard tune up, a new battery, is going through our rigorous reconditioning or is being completely overhauled, you can expect a high quality job at a fair price. 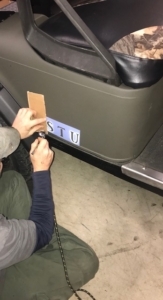 We also provide trailer hitch installation and stenciling on golf carts. If your golf cart or utility cart is in need of service or repairs, you can make an appointment with our service department to drop off your cart, or to schedule a time for us to pick it up and bring it in for service. We take a very unique and personal approach to business. We are committed to developing a positive business relationship with our clients. When you trust us to provide service or repairs for your golf or utility cart, you become a business partner of ours for many years to come. Our goal is simple; we want to be your trusted source for all things related to golf and utility carts.